EDIS is electrical testing software that provides a simple, convenient web based software to create, edit, store and recall all the information relating to electrical certificates and electrical installations. EDIS follows the requirements of British Standard BS 7671 "Requirements for electrical installations". 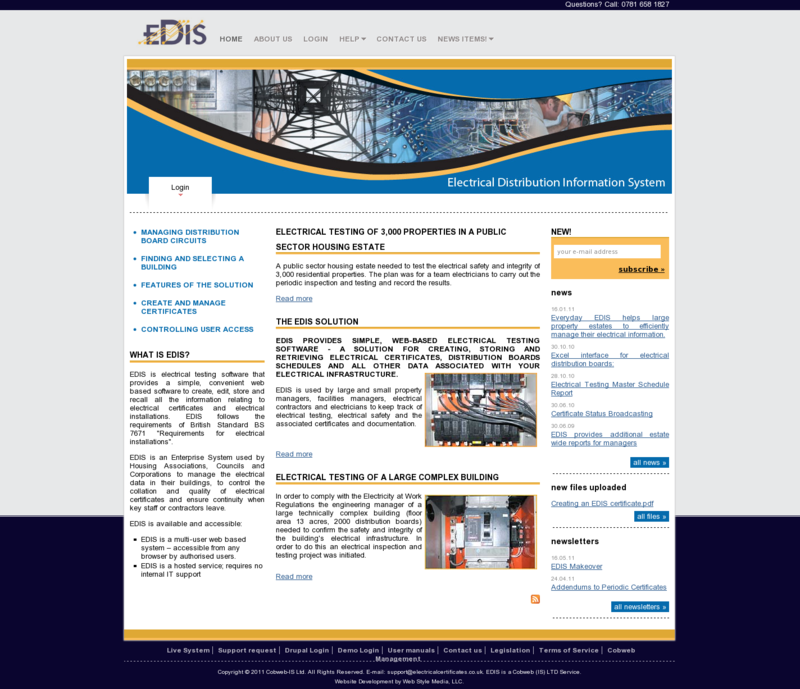 Web Style Media, LLC created a new website for EDIS using Drupal 6 CMS.